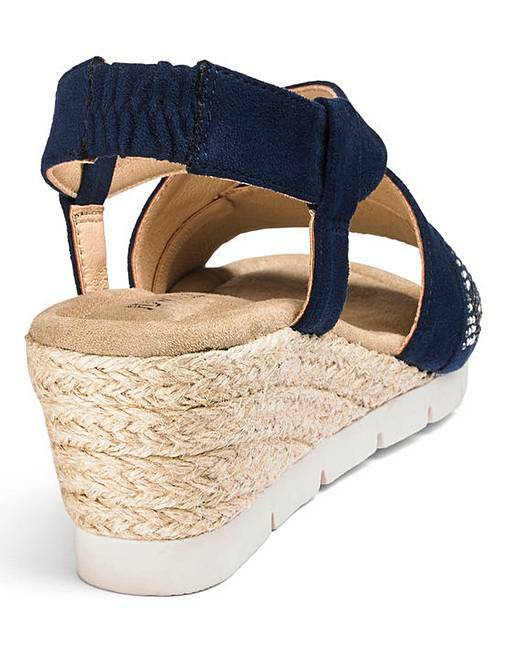 These wedge espadrilles are a holiday staple with a twist. 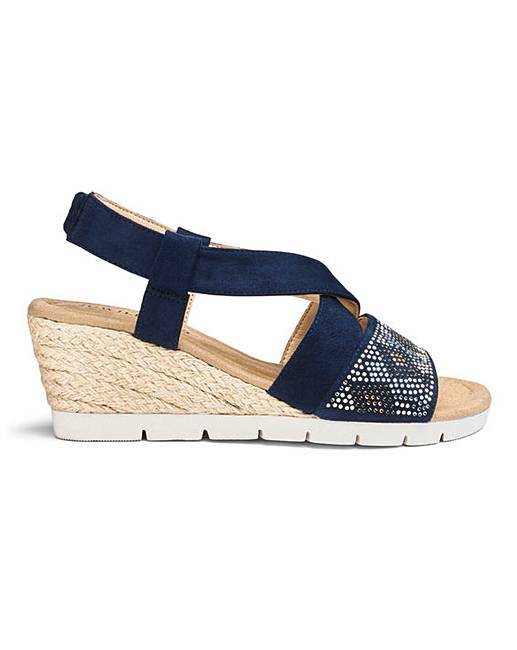 The beautiful diamante detail and peep toe make them perfect to wear with a maxi dress or with jeans and a summer top for a casual look. The elasticated slingback offers all day comfort.